Or, get it for 58800 Kobo Super Points! The warehouses of the future will come in a variety of forms, but with a few common ingredients. Firstly, human operational handling of items in warehouses is increasingly being replaced by automated item handling. Extended warehouse automation counteracts the scarcity of human operators and supports the quality of picking processes. Secondly, the development of models to simulate and analyse warehouse designs and their components facilitates the challenging task of developing warehouses that take into account each customer’s individual requirements and logistic processes. Automation in Warehouse Development addresses both types of automation from the innovative perspective of applied science. In particular, it describes the outcomes of the Falcon project, a joint endeavour by a consortium of industrial and academic partners. The results include a model-based approach to automate warehouse control design, analysis models for warehouse design, concepts for robotic item handling and computer vision, and autonomous transport in warehouses. 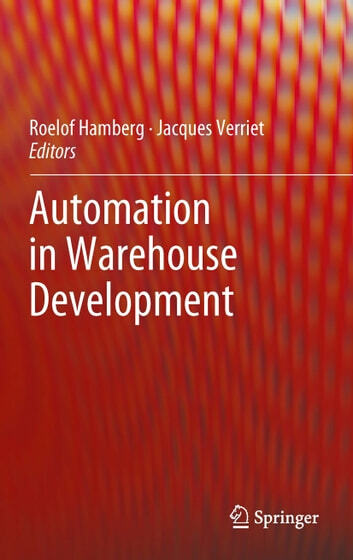 Automation in Warehouse Development is targeted at both academic researchers and industrial practitioners. 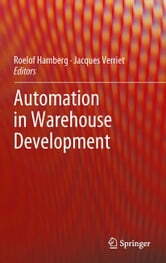 It provides state-of-the art research on warehouse automation and model-based warehouse design. These topics have been addressed from a systems engineering perspective by researchers from different disciplines including software, control, and mechanical engineering, with a clear focus on the industrial applications of their research.